The cognitive and entertainment Discovery Science, in partnership with Ucom – one of the largest telecom operators in Armenia, is inviting high school students to participate in a contest of young innovators and compete for the grand prize – a trip to Amsterdam to visit the headquarters of the European Space Agency. The author of the most original and interesting answer to the question on how and through what medium people will communicate in the future will be the lucky winner of the contest. Applications for participation should be submitted via emails to discovery@ucom.am, and deadline for applications is June 10. The contest is open to high school children aged up to 16. They will just need to complete an application and present their ideas on what communication will look like in the future. Both individual and team applications are accepted. Each team should be composed of no more than 4 members. Participants may submit their projects in the following formats – video, 3D model, design or presentation, in Armenian or Russian. No other restrictions are applicable. Participants can give vent to their imagination and offer the most daring ideas, e.g. in the future people will communicate via TV that transmits smells, or via devices allowing to communicate with the help of thoughts. Any idea like these may bring victory to participants. Even if these ideas seem fantastic today, it’s quite possible that in a couple of years everything might seem much more real, since science never stands still. “Science surrounds people everywhere; even the most ordinary things offer many new and interesting things to learn. 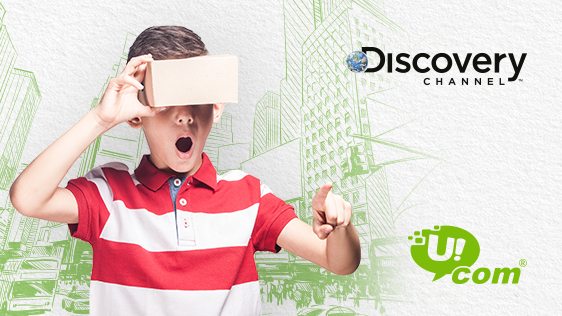 Discovery Science is taking its viewers to discover that knowledge and now it will also help talented young people attain self-realization in science. We’re looking forward to daring ideas and hope that the programmes of Discovery Science inspire the participants and help them get closer to victory,” said Anna Pak, VP, Country Manager North East Europe at Discovery Networks. “Ucom implements a number of projects in Armenia, such as the development of engineering thought, for example. We are confident, that there are minds born in our country, which are ahead of their time and which have envisioned a future resembling of a scientific fiction at the moment, but basically the one to become reality just a few centuries later on”, - noted Hayk Yesayan, Director General at Ucom.